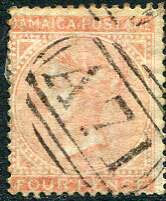 on QV 4d (SG.22b), rare on this issue. 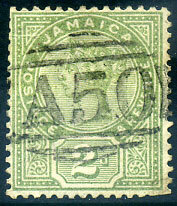 on QV 1d OFFICIAL (SG.04), rare on this issue. on QV 4d Pine wmk (SG.4a), slight bend/crease. on QV 2d Crown CA wmk (SG.19). on QV 1d CA wmk (SG.17), tiniest thin, rare on this. 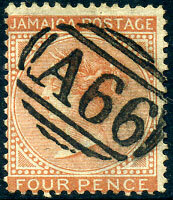 on QV 1/- Pine wmk (SG.6b). on QV 2d CA wmk (SG.20a). on QV 1d Pine wmk (SG.1a), some faults. 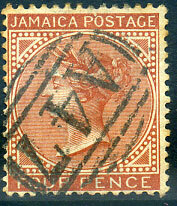 on QV 4d red-orange CA wmk (SG.22, Cat.£22.00). 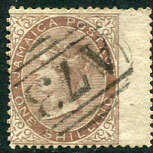 (Type L) on QV 1/- Pine wmk (SG.6). 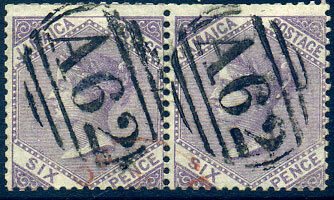 (Type L) on QV 6d CC wmk (SG.12), some toning. on QV 4d CC wmk (SG.11), perf. faults, rare on this issue. 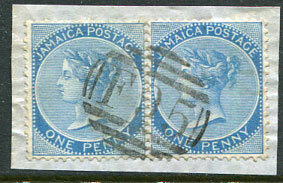 (Type H) in extremely rare blue ink on QV 2d CC wmk (SG.9), stamp with small tear top right corner. on QV 1d CA wmk (SG.18a). 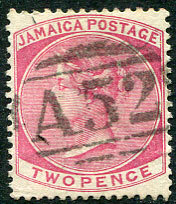 on QV 2d CA wmk (SG.20a), thinned. on QV 4d CC wmk (SG.11a). (P11) dated A/JY 31 62 on QV 4d Pine wmk (SG.4a), faults. on QV 1d CA wmk (SG.18). on QV ½d CC wmk (SG.7a), perf. fault. 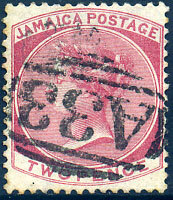 (Type N) on QV 2d CC wmk (SG.9). 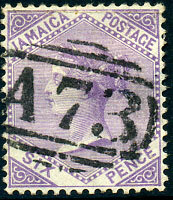 (Type M) on QV 2d CC wmk (SG.9). on QV 1d Pine wmk (SG.1), perf. fault. on QV 6d CC wmk (SG.12). on horiz. pair QV 6d Pine wmk (SG.5a). on QV 4d CA wmk (SG.22b). 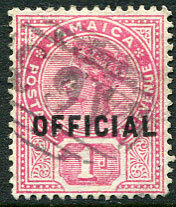 on QV 1d Keyplate (SG.27). (Type N) on QV 1d CC wmk (SG.8). 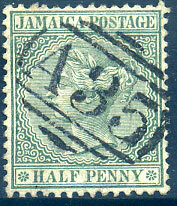 on QV ½d CC wmk (SG.7a), thinned with possible sealed tear at top, rare on this issue. 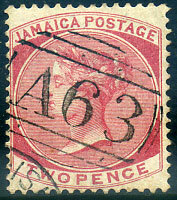 (original) on QV 1/- Pine wmk (SG.6b). on QV ½d CA wmk (SG.16). on QV 4d CC wmk (SG.11). on QV 2d CA wmk (SG.19). on QV 4d Pine wmk (SG.4).